The Navy announced a two-year rollout plan for putting the new Navy Working Uniform Type IIIs in every sailor’s seabag. The transition goes into effect Oct. 1 and ends on the same date in 2019, when everyone in the service will be required to have the green uniform in their seabags — and the current “blueberries” will be no more. The plan and details about the rollout were released by the Navy on Thursday in NavAdmin message 214/17. For the next two years, sailors can wear either the Type IIIs or the Type Is — though it’s officially up to your commanding officer to decide. In addition, the Navy will in fiscal year 2018 initiate a two-year increase for enlisted uniform allowances to cover the costs of the new uniforms. As usual, officers will be required to foot the bill out of pocket. 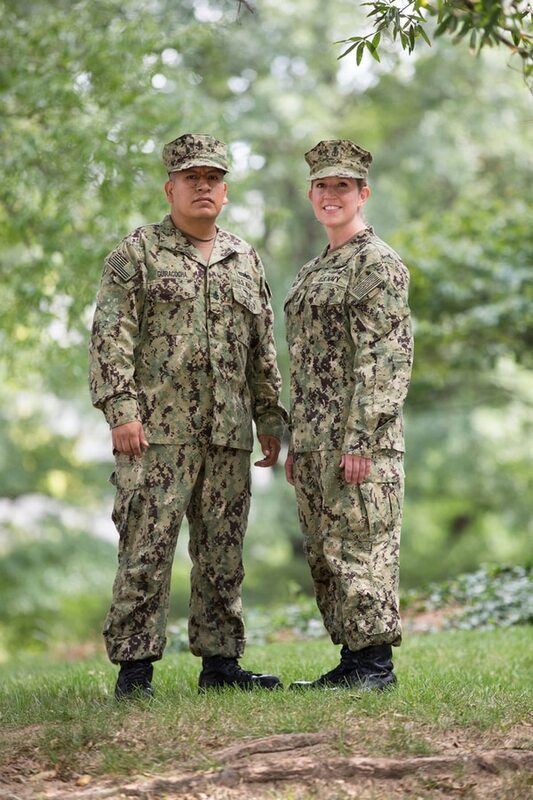 Already, the uniform and its accessories are available for purchase at Navy Exchange Uniform Centers at Navy installations in Europe, Africa and Southwest Asia as well as Pearl Harbor, Hawaii. In the continental United States, the official rollout begins Oct. 1, yet the duds are already available at at the Newport, Rhode Island, Navy Exchange. The Navy announced the wear rules and distribution plan for the Navy Working Uniform Type III on Thursday. Next in line to get the new uniform on Oct. 1 will be new recruits at Recruit Training Command at Great Lakes and new officer accessions, also at Newport, according to the plan. Also starting Oct. 1, the uniforms will be stocked in exchanges in Navy Region Southwest, meaning that San Diego will be the first fleet concentration area in the U.S. to go green. “We always start our uniform rollouts at Great Lakes with our newest sailors and then gradually roll it out to the fleet,” said Capt. Janet Bristol, branch head of uniform policy for Chief of Naval Personnel in a recent interview with Navy Times. July 2019 - Other service exchange stores on Army and Air Force bases. Navy officials announced the uniform shift in August 2016. Bristol said the reason it took a year to start the rollout was the Navy had to shift gears, ramping down production of the Type Is and increasing the numbers of Type IIIs. The uniforms used different patterns and different fabric, so the change took time. “Just in the last couple months, we sundowned production on the Type Is and now they’re no longer being produced,” Bristol said. 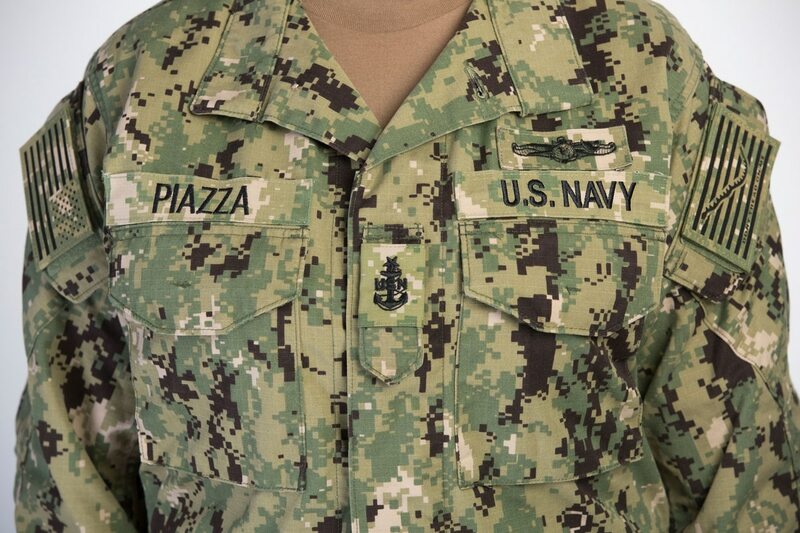 Also starting Oct. 1, sailors who already own the uniforms or have them from a previous command where they were authorized can again wear those uniforms, but with their COs approval. Normally, sailors who have been issued Type IIIs by their command have to turn them back in when the uniforms become unwearable or when they transfer. That changed in January, when former Secretary of the Navy Ray Mabus signed a memo stating that if a sailor was issued the uniform and had also deployed for more than 30 days in support of contingency operations, they were no longer required to turn them in. Navy officials estimated last fall that as many as 50,000 sailors could fall into this category. Consider it a parting gift. An action memo approved by former Secretary of the Navy Ray Mabus officially allows sailors to retain the Navy Working Uniform Type IIIs once their tours are over. Each year, enlisted sailors are paid a clothing replacement allowance. How much a sailor gets is dependent on their rank and how long they have been in the Navy. The allowance is paid to sailors as part of their paycheck on what the Navy calls their “anniversary month” of active service, which simply means the month a sailor went to boot camp. Bristol did not say how much the allowance increase would be for the next two years. But what sailors can expect over the next two years is enough to outfit themselves with two sets of blouses and shirts — the current seabag requirement — along with all the accessories such as hats, t-shirts, socks, etc. The Navy has struggled with boots throughout the Type I era and have promised to improve the issue safety boot with the Type I. Right now, the Navy is conducting a three-month boot-wear test to find a replacement that is more comfortable but just as safe as the current issue boot. The study has 350 sailors assigned to afloat units and shore installations wearing boots on a daily basis. A report with recommendation is expected to move up the chain of command by the end of this calendar year. If any new boot is selected, Bristol said, it would be available for issue or purchase no later than end of 2019. Recently, the Navy has allowed more leeway to sailors in boots that can be worn. According to Bristol, the basic requirements for a Navy boot is that it be black, made of flame-resistant materials, meet Class 75 safety footwear requirements for impact and resistance, cost-effective, be tall enough for blousing with NWU Type III, and as always, made in the United States. But, for now, the Navy has identified six current boots that can be worn with the uniform and each are outlined in the NavAdmin message. They include not only various types of black boots, but the optional Coyote Brown boots. The Type III is intended for wear ashore, in port and in environments that do not require special clothing, such as flame resistant uniforms like coveralls. Officials say it may also be worn at sea for special events at the discretion of the commanding officer.